Composed by Val. Bapst; Benj. Schmolck. Key of F-Major. Classical. Score. With Text Language: German. 7 pages. 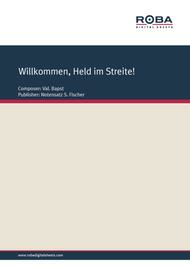 Published by Roba Music Verlag (RX.9783841813145). This Ebook contains the score of the title in F-Major for Piano & Vocal. The Musical genre is: Classical. 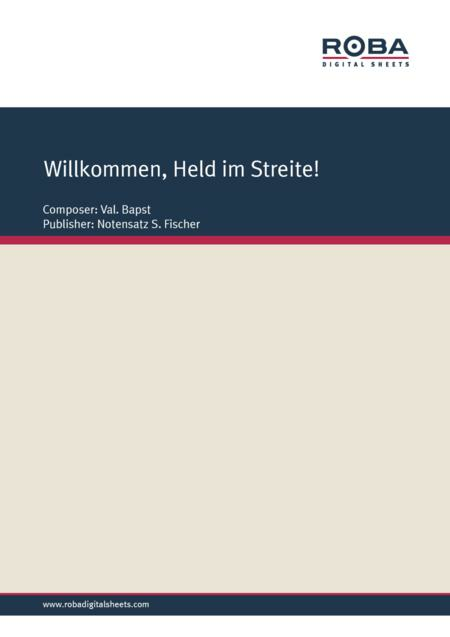 Preview: Willkommen, Held im Streite!